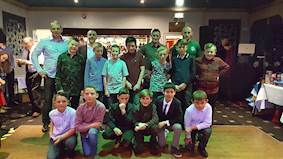 Задача: In his spare time Managing Director of Cobra Simulation, Alexander Bradley, coaches an under 11s football team, Bathgate Thistle Reds 2005. 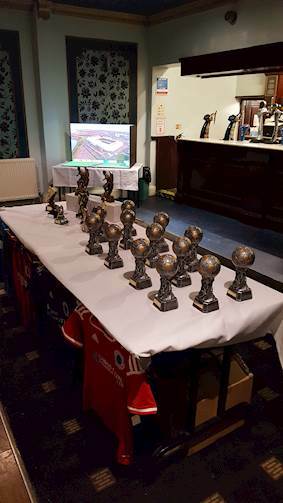 Each year the children are recognised for their contribution to the team at the club’s annual Player of the Year event. 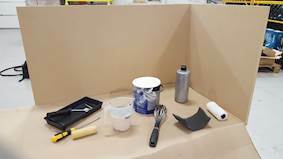 Not satisfied with a plain projector screen and slide show, Alexander wanted to create something different that would showcase the many great memories recorded but he had very little time and by his own admission, “designers block”. 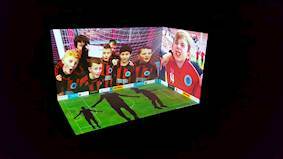 Решение: Using Optoma’s Projection Mapper, Alexander created a 3-dimensional display of a football ground, complete with active sponsor billboards around the pitch. 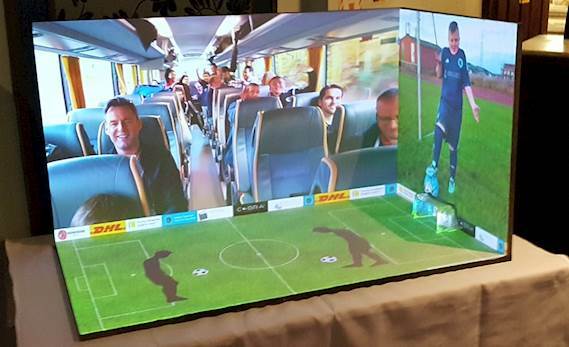 Результаты: The display showed moving footage from previous games mixed with still images from events, matches, transitions and animated renders. Even a Subbuteo goal thrown in for fun.